LAHORE: After this year’s general elections, the Election Commission of Pakistan (ECP) uploaded, on its websites, images of the Form-45s. The forms had caused much controversy after political parties alleged that their polling agents had been asked to leave during the ballot counting process. In a quick survey of the forms uploaded by the ECP proved, 90pc had not been signed by the polling agents. Form-45 is an important safeguard of a free and fair election. In Pakistan, where we still have the traditional voting method of pre-printed ballot papers, the presence of polling agents is the key to a clean election. The concept is simple enough. Votes are cast and the names of voters are ticked on a list as they receive their ballot papers. When the polls close, the ballots are spread out and counted under the watchful eyes of polling agents assigned by every candidate in the race. All of the agents stay throughout the count, verifying the tenacity of rejected votes, and keeping a tally for their candidate. When a final count is reached, all polling agents verify it. For sure, Pakistan has had its issues with pre-poll rigging. From the systemic exclusion of voters to the provision of money and support to the favoured candidates, the country has seen it all. But on the election day itself, Pakistan has remained largely unviolated until now. That is where Form 45 comes in, and what all the fuss was about. Along with the accusation that polling agents were not allowed to be present during the counting process, they also did not sign off on the election in reportedly 90pc of the cases. Many might be inclined to believe that the solution to such gross negligence is to take the election process away from the hands of people and digitise it. What proponents of this idea do not realise is that Electronic Voting Machines (EVMs) bring with them their own host of much greater challenges and dangers. “I have personally written firmware for actual voting machines and I endorse these sentiments 100 per cent. Paper ballots and scrutineers’ eyes are the only way to prevent shifty actions and even then we need to be vigilant,” said P Patterson, a Canada-based tech expert. “For the past few years, there have been several incidences where the votes are easily manipulated and tampered by powerful leaders in their favour. With paper ballot system, this can be prevented. Paper polls are more secure in contrasted to EVMs,” he argued. While EVM has many advantages such as faster results, cost-effectiveness, accuracy, and portability, the digitisation has not seen equal success in all fields and the risk is especially too high when something like the country’s elections is involved. Perhaps the greatest example of the woes caused by EVMs is none other than the United States (US). Already embroiled in accusations of hacked elections and data leaks, many in the US are now calling for a return of the paper ballot. As has been seen in recent times, EVMs are ridiculously easy to influence. In America, an 11-year-old hacker took ten minutes to take apart a replica of Florida’s voting system. But being prone to hacking is not the only problem. The problem lies in the fact that with the EVMs, there is no paper trail. Accountability is a crapshoot because the machines create electronic tallies with no “paper trail”. There has recently been some development in the field of EVMs with the introduction of VVPAT (Voter Verifiable Paper Audit Trail) technology, which uses the concept of EVMs but translates it onto paper by creating a traceable trail of the votes cast on paper. And while it solves this one problem, even this technology is not safe from tampering, hacking and rigging. While the current ballot paper system is not necessarily sophisticated, it is still secure. It is funny, but paper ballots were first used more than 2000 years ago in 139 BC in Ancient Rome. That system still remains the most secure, while it is digitisation which is being seen as an easy means to hijack democracy. This election saw mass controversy clouding election day itself. But that was not because of the election rules and procedures that Pakistan has in place, but rather because of external influences. Pakistan’s current election procedure, if allowed to operate, is secure enough to be exported to the rest of the world. 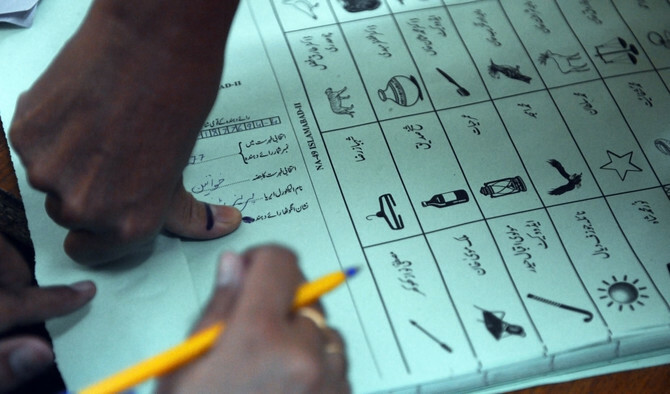 With how things have been with the current system in place, the possibilities of rigging are countless and horrifying if an EVM method was introduced in Pakistan – as there would be no paper trail and no way to tell whether the election had been tampered with. And while the technology is still too nascent for the nation’s democracy to be entrusted to it, additional measures on top of the existing ones can be implemented with the help of technology. In fact, Pakistan has already computerised its voter data in recent times, which help formalise and streamline the process. But the ballot paper does, and will for some time, remain the best way to conduct an election.